Ohm's law, named after Georg Ohm, is a set of relationships between the fundamental electrical quantities: Voltage, Resistance and Current. As we will see shortly, it is a very straightforward mathematical relation ( nothing more complicated than multiplication and division), but an understanding of the law is the key to a general understanding of many topics in audio electronics, including input and output impedances, equalizers and shelf circuits, the high-frequency rolloff due to a guitar cable, etc. As mentioned previously, the three main electrical quantities are Voltage, Current and Resistance. 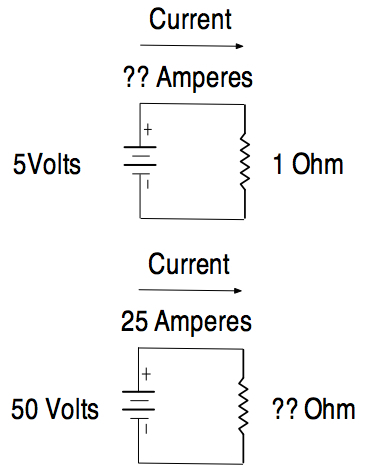 These quantities are all related through Ohm's law. A solid conceptual understanding in Ohms law is an incredibly valuable tool for understanding much of what goes on in audio systems, as well as electrical circuits for audio. Before we jump into the details, lets first take a look at a useful analogy in order to foster a general understandings of the concepts. Voltage, which is also known as electromotive force, is the force which drives the current (electrical charges) through an electrical circuit. 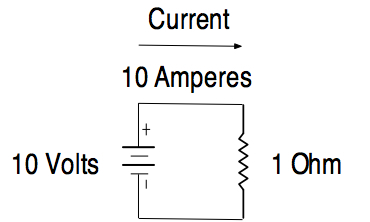 Current is the amount of charge which is pushed through a circuit by the Voltage. 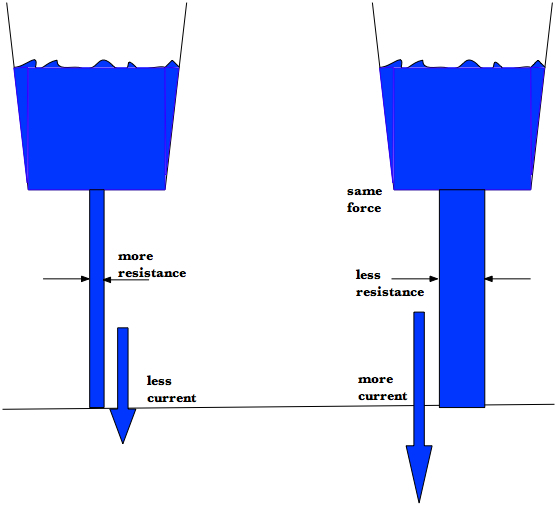 Resistance, is just what it sounds like — the resistance to the flow of charge through the circuit. The last of the relationships that you need to know is the expression for electrical power, $P$. 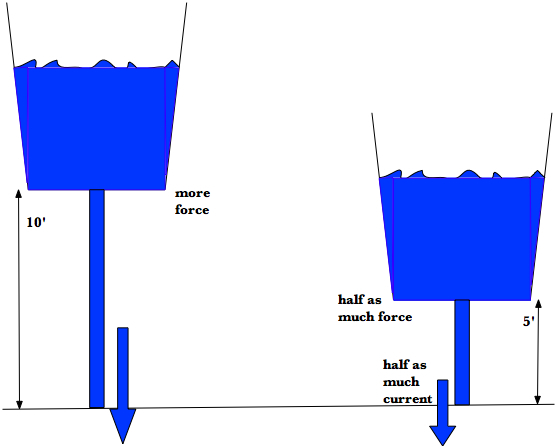 In terms of voltage and current, power is given by. Hence, the higher the voltage the more power delivered. Similarly the more current in a circuit the greater the power level is.